It has been a busy week. 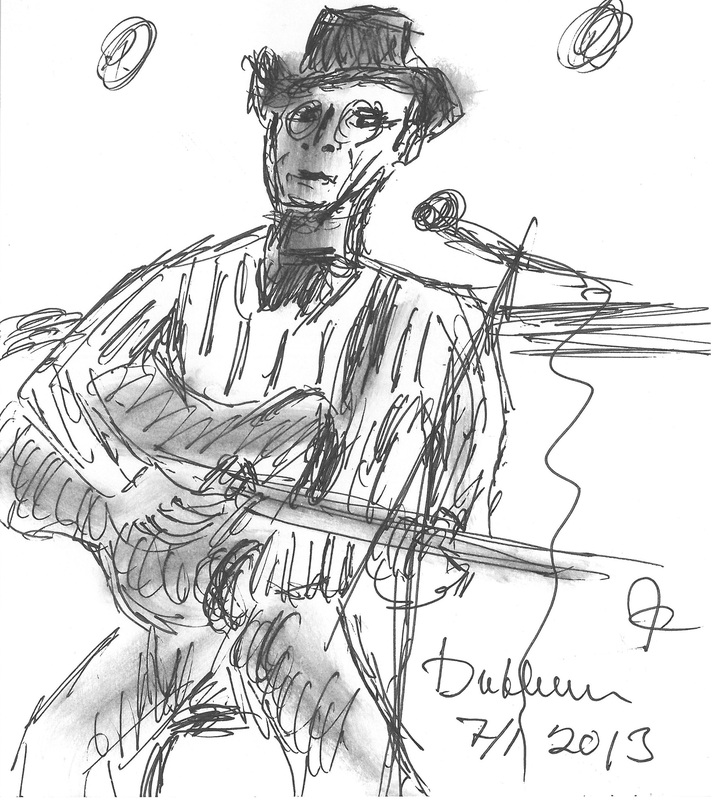 Last monday I went to the open mic at Dubliner and Jan Cederlöf was nice to give me a new drawing. On wednesday I hosted the OldTime jam at Vida La Vida on Fjärde Långgatan in Göteborg. After that I went to open mic at Calor on Viktoriagatan. In the meantime I have written a new song about Gentleman Jack (the founder of the Jack Daniels destillery).